8 ways to reuse your leftover Easter chocolate! 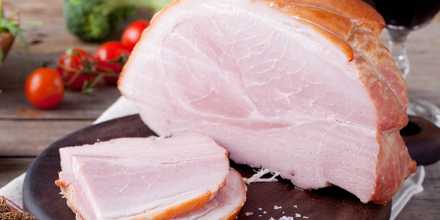 Tips and tricks for a delicious Easter ham! 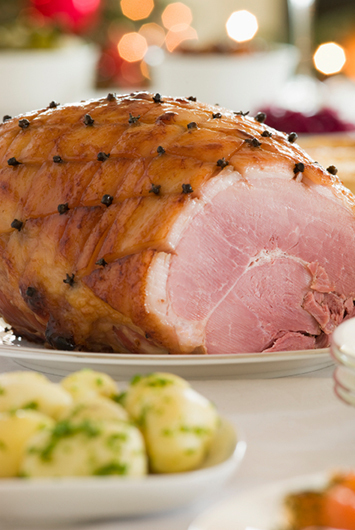 Ham is without a doubt the most iconic Easter dish. It's so simple to prepare, no wonder it keeps showing up on our menus. 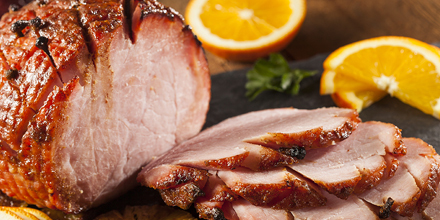 Whether you opt for bone-in or boneless, you'll be able to release your inner chef by enhancing your ham recipes with a unique flavour! Bring to a boil and reduce heat. Simmer over low heat for at least 30 minutes. Reheat oven to 160° C (325° F). Trim skin and score the fat around the ham. Cover the ham with pineapple slices or try apples, apricots or oranges. Pour 250 ml (1 cup) of fruit juice and 190 ml (3/4 cup) of maple syrup over the ham. Preheat oven to 160° C (325° F). Cut diamond pattern into fat covering the ham. Put ham in roaster, add apple juice, cover and bake for 1 hour. Mix maple syrup, mustard and water together in a bowl. Take ham out of oven, stick a clove into each diamond and baste with maple syrup mixture. Continue baking for 60-90 minutes, basting frequently.